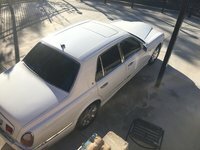 Start a new Bentley Arnage question. 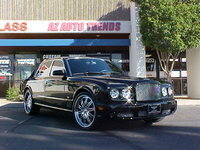 The Bentley Arnage was first produced from 1998 to 2000 as one model. In the following years, three variations of the full size sedan became available. 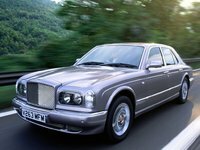 Currently, there are three Arnage models: the standard R, the higher-performance T, and the limousine-style RL. 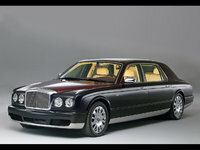 The original Arnage was very similar in design to the Rolls Royce Silver Seraph, which was also released in 1998. These two cars represented the first entirely new designs for both marques in nearly twenty years. The Arage was powered by a 350 horsepower twin-turbocharged BMW V-8, while the Silver Seraph received a BMW V-12. 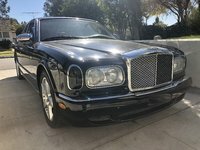 The first of the Series 2 Arnage sedans arrived in 2001. 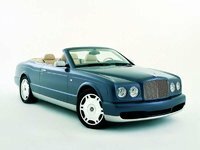 The initial model was a stretched variation called the RL; the largest Bentley in production. Three wheelbases were available: 131, 140, or 151 inches. All RLs were customized to owner specifications by the Mulliner coach builders at Bentley's Crewe plant. In 2002, two additional Series 2 models were introduced. 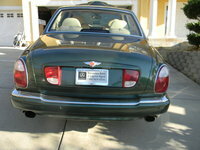 Both the Arnage R and the Arnage T share an 122 inch wheelbase, but the power plants were different. The T was geared more towards performance, with a twin-spercharged engine tweaked for a 450hp output. The entire line received some light styling revisions in 2004, and a new six speed automatic transmission was added in 2007.